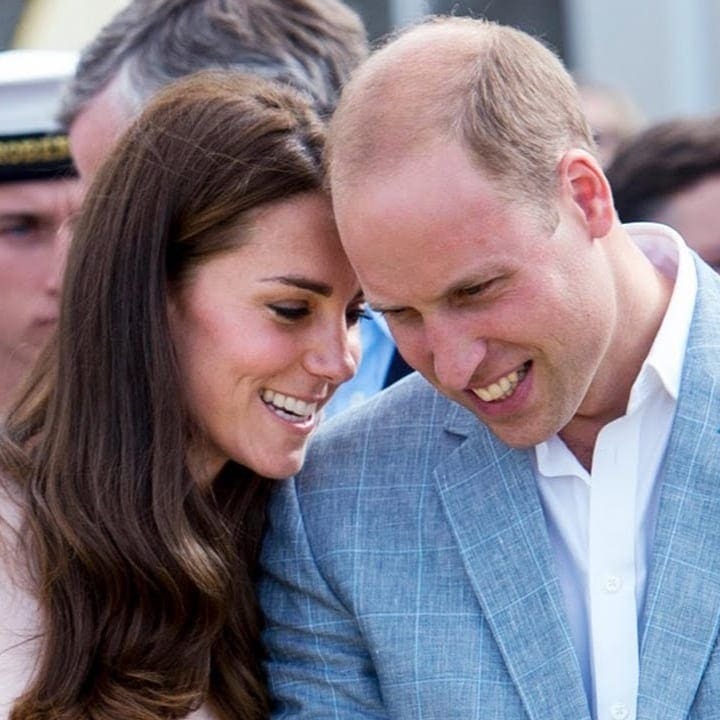 There’s a royal baby on the way! It feels like we’ve been saying that for years, especially given the rate at which William and Kate have been giving birth to heirs. 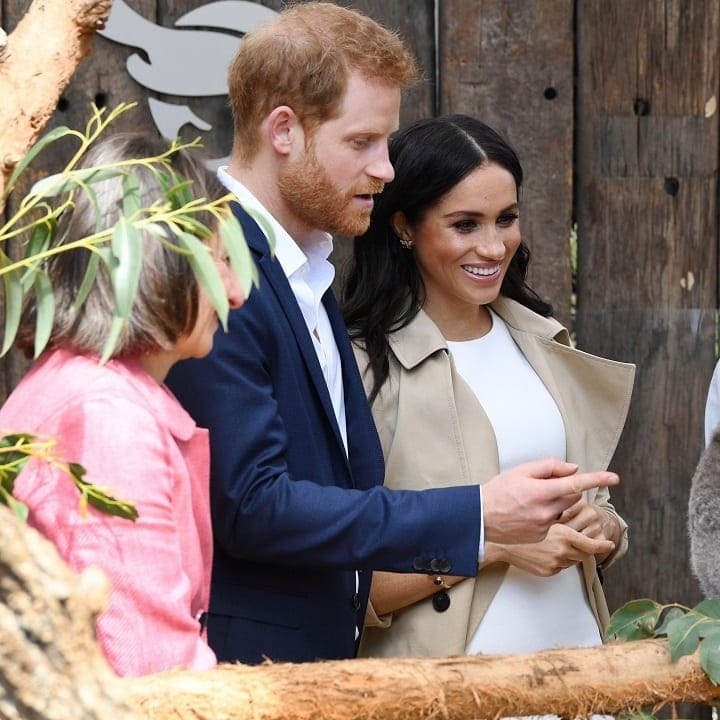 However, the pair has stepped aside to give another couple the time to shine as parents – Harry and Meghan. After a whirlwind 2018, they’ve come into the new year with a baby on the way, and they can’t wait to start the next chapter of their lives. There might only be a few more months to go until the new royal baby enters the world, but there’s still a lot of preparations that need to be made. One of these is choosing who will play the role of the baby’s godparents. It’s an important decision to make, and one which needs to be sorted out soon. So, who exactly is in the running? Well, if you thought that William and Kate were a sure thing for the part, you’d be sadly mistaken. It seems like the royal couple won’t become godparents anytime soon, and there’s a good reason why. Having a baby is going to change Meghan and Harry’s lives forever. The former is certainly no stranger to having her life turned upside down given everything she’s been through over the last year. However, this will still be a shock to the system. It’s not easy being parents, and the couple is sure to face many challenges as they embrace their new roles. Thankfully, they’ll have people around them to watch out for their child when they can’t. Meghan and Harry are naturally searching for godparents for their child, and they’ve had a few pairs in mind. Out of all these pairs, two names are missing from the list that you might have expected to be in the running – William and Kate. As Harry’s brother and sister-in-law, there’s no-one apart from his wife that the Duke of Sussex is closest to. However, it’s highly unlikely that these two will make the cut when it comes to being godparents. With three children of their own, it’s not like William and Kate need the role, though we expect they’d still like to have been considered. But why aren’t they being considered? 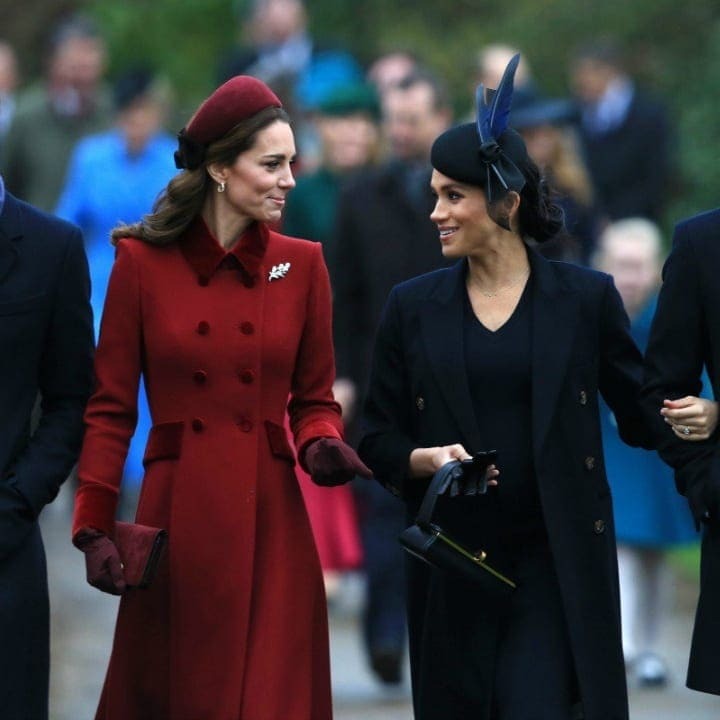 It’s possible that Meghan and Kate’s reported feud may have contributed to the royal couple being excluded from the running for godparents. 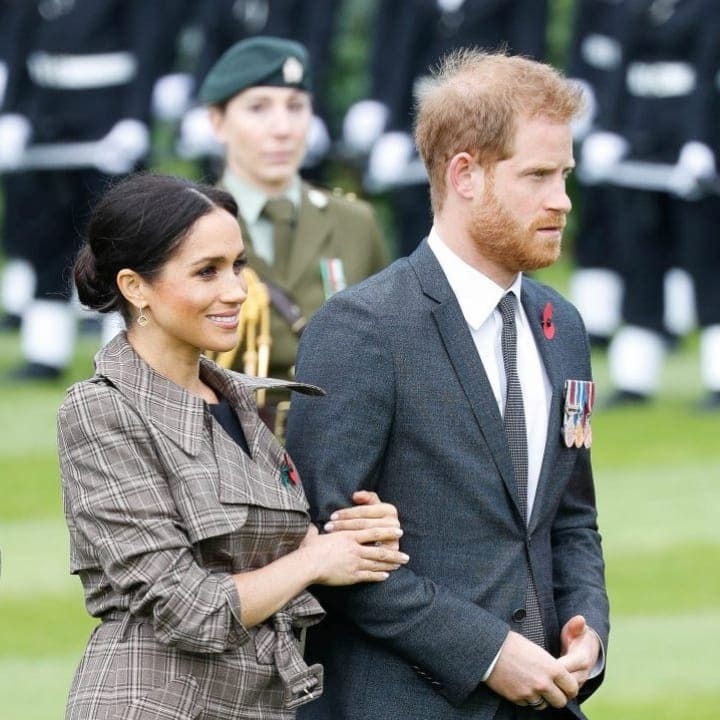 Since the end of 2018, the media has been filled with talk of the two duchesses being at war with one another. Though neither woman has spoken out on their clash, reports have been rife about the two being unable to stand each other. If the rumors are true, we can understand Meghan not wanting her sister-in-law to be a godmother for her baby boy or girl. 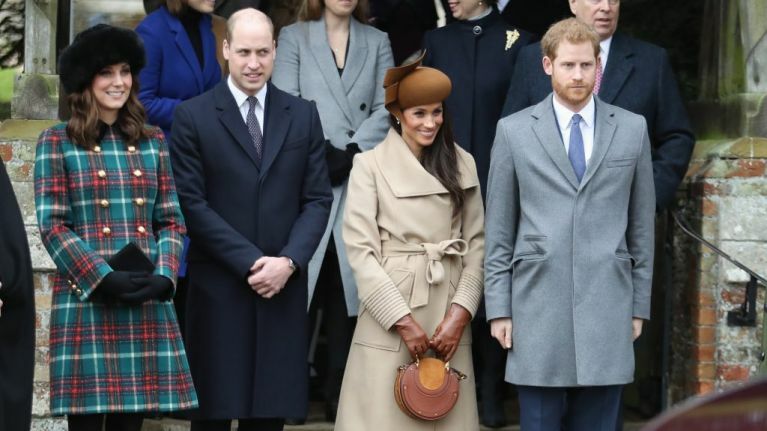 Just because they’re all together in the Royal family doesn’t mean they have to do everything together – especially with all the reported feuds that are going on between them. But it seems there is a lot more at play than just Meghan and Kate’s minor squabbles. Although the feud may have played a part, it seems that William and Kate weren’t destined to be the child’s godparents long before there was any significant fallout. That’s because Harry was never chosen to be a godfather to any of the couple’s three children, despite the close relationship he has with them. 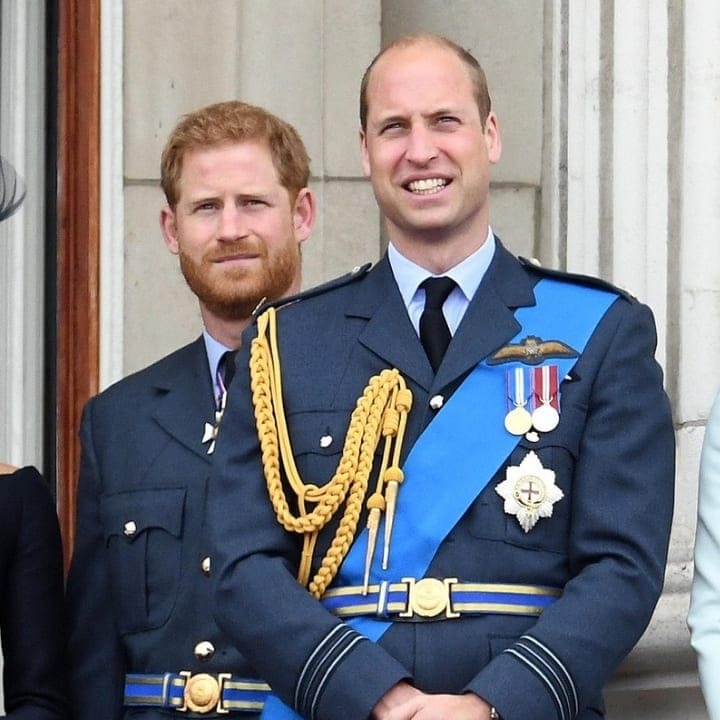 The Duke of Sussex was passed over multiple times in favor of people like his cousin Zara Tindall, so it seems he’s now returning the favor. However, there’s no bitterness in Harry’s rejection of his siblings. And yet… there does seem to be a pattern here. The truth is that Harry and William are close with each other. It’s just that they may want to be a little more creative with their godparent choices. The reason that Harry was never made a godfather for any of William and Kate’s children is because he already plays an important part in the child’s life. Robert Jobson, a royal expert, suggested to USA Today that Harry wasn’t considered for the role because he didn’t need to be. If he was going to be a constant presence in George, Charlotte, and Louis’ lives anyway, why make him a godfather? That same thought seems to underline Meghan and Harry’s decision not to consider the couple as godparents for their child. It’s strange to think that a little more than a year ago, Meghan Markle was still relatively unknown to the wider world. 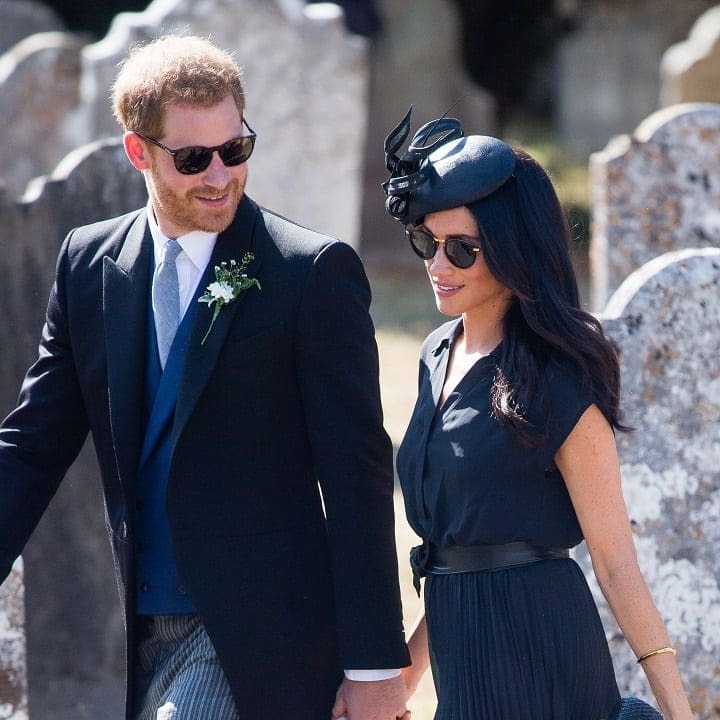 Of course, she had a large fanbase thanks to her acting roles, and other people knew her as Prince Harry’s girlfriend, but she didn’t have the following that she has now. It was only once her boyfriend got down on one knee and popped the question that the world started paying attention to her. Soon enough, she was all that people seemed to talk about, and her popularity has only continued to soar over the last year. That’s probably because Meghan has barely given us a chance to catch our breath. Once the anticipation for her wedding was over, the excitement moved to her pregnancy announcement. Even though the due date was months away, there was a lot for people to look forward to. A new baby is always cause for celebration, no matter who it belongs to. Bringing new life into the world is a momentous occasion, and it’s the culmination of the love two people have for each other. Ever since Meghan and Harry tied the knot, talk had been all about how long it would take until the two were with child. It was the next logical step for their relationship after getting married, and it didn’t take long for them to confirm the good news. Mere months after walking down the aisle, Kensington Palace shared the announcement as the happy couple was beginning their fall tour. 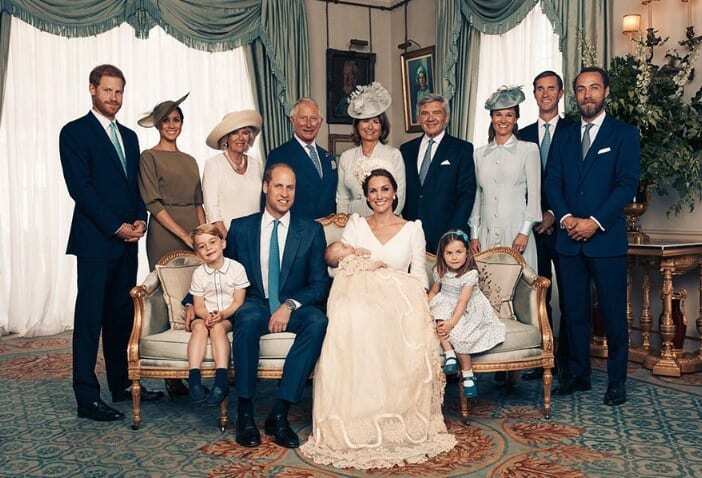 Everyone wanted to know how long it would be until baby Sussex arrived, but the only answer they had was spring 2019. It was a vague answer, but a timeframe people could get excited for nonetheless. With each passing month, the couple has grown closer to welcoming their first child together. As Meghan’s bump has grown bigger, her need to take it easy has become more pronounced. 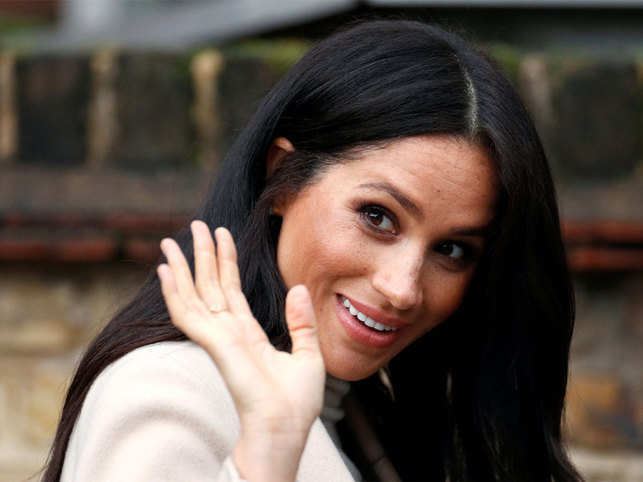 Although the expectant mother continues to do her fair share of royal engagements, she’s also been enjoying a lot of downtime in their Cotswolds residence. The last thing she wants is to push herself too much before the baby arrives because she’s going to need as much energy as possible. Meghan and Harry don’t have any firsthand experience when it comes to parenting, so becoming a mom and dad is going to be a real shock to the system. Although they’ve spent a lot of time around kids, there’s a difference between being the fun uncle or aunt, and actually raising a child. It’s a huge commitment, and one they can’t just back out of in a few months. Luckily, the couple is far from alone when it comes to looking after their children. Although they want to be as hands-on as possible, there will still be times when they have no choice but to be away from the child. 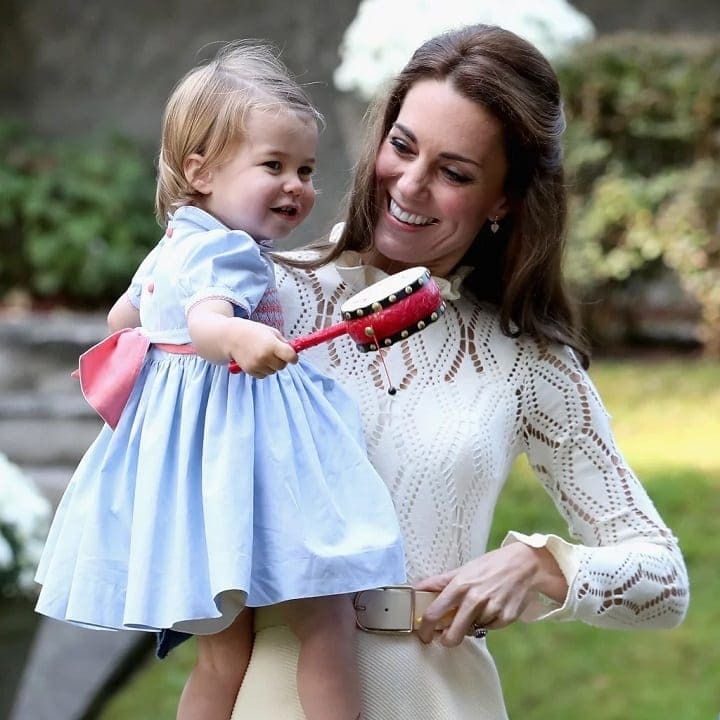 In those instances, they’ll likely have a nanny to take care of the young royal while the pair carries out their royal duties. Even when Meghan and Harry are responsible for the baby, they’ll still have plenty of people around to help out and offer advice. The benefit of having a child when you’re in the Royal Family is that there’s a lot of people you can turn to when you need some assistance. Harry and Meghan might want to prove they’re capable of raising their little boy or girl by themselves, but there’s nothing wrong in admitting you need help. Isn’t that what family is for? It’s not just family that Meghan and Harry can rely on either. The children’s godparents will also be there to offer a hand and watch out for the youngster throughout their life. It’s a big responsibility for them to take on which is why the couple needs to think long and hard about who will be best for the job. It’s unknown who exactly Meghan and Harry will pick as godparents, though there are already indicators as to who they’re thinking of. There are some big names in the running. One couple who appear to be highly favored is George and Amal Clooney. 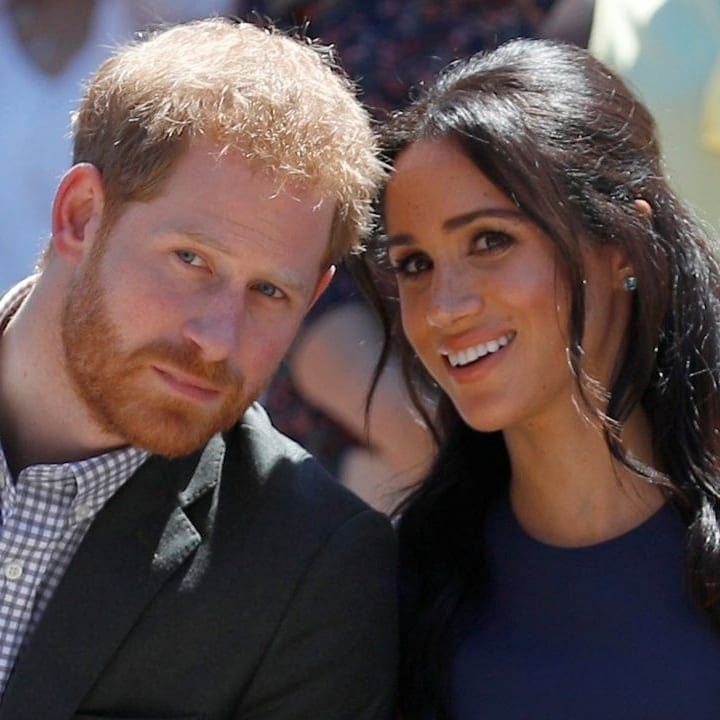 The couple, who were guests at Harry and Meghan’s wedding, would undoubtedly be a glamorous choice to play godparents. Not only would the new royal child grow up in Britain’s most famous family, but their godfather would also be Hollywood royalty. Who wouldn’t want that? 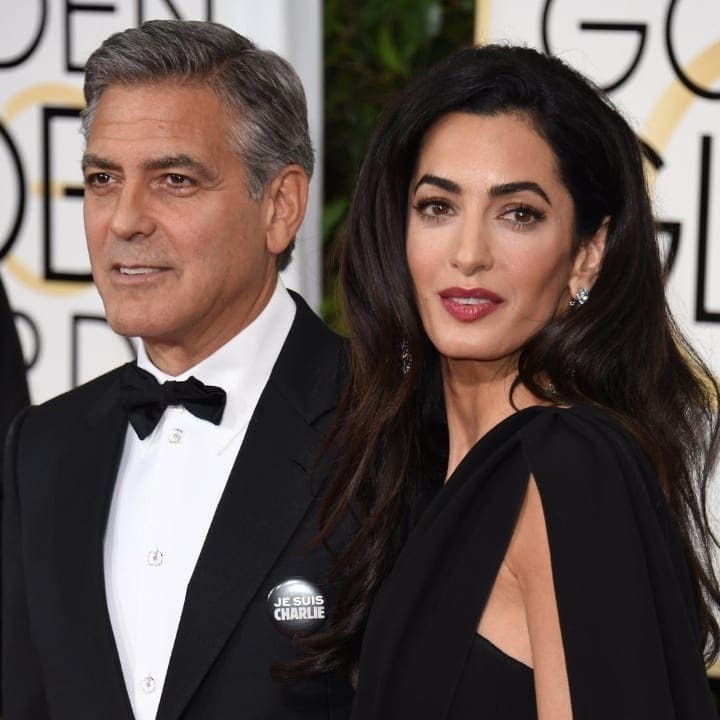 The Clooney’s connection to the role stems from the fact that Meghan and Amal are reportedly good friends, with the four spending time together semi-regularly. The two couples are apparently so close that the Clooneys have actually visited the Duke and Duchess at their home in the Cotswolds multiple times. If this is true, then it’s no surprise that they’re being considered for the role of godparents. The four of them have obviously developed quite a connection recently, one that would serve the baby well. Ben Breslin, the actor’s cousin, suggested to the Mail Online that George would make “a wonderful godfather,” and that it was likely he’d get picked for the job. Although George and Amal are strong contenders, they’re not the only people being considered as godparents. Also in the running are Jessica Mulroney and her husband, Ben. 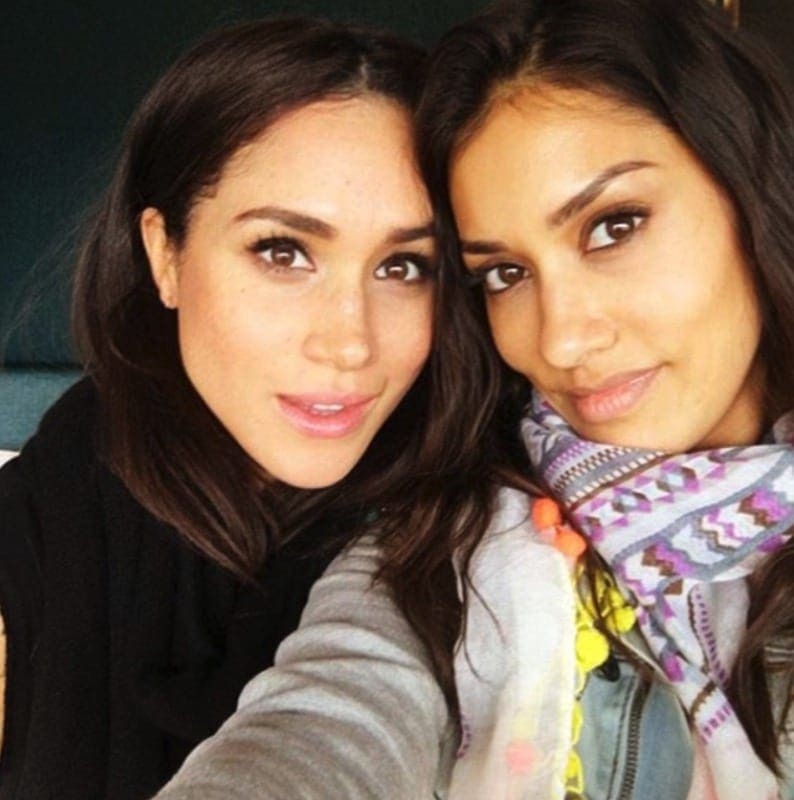 The former is best friends with the Duchess of Sussex, and she also works as her stylist. The two women have built up an unbreakable bond over the years, and that will likely work in Jessica’s favor. They’re so close that the stylist’s children were involved in the wedding party back in May 2018, so she and her husband can’t be discounted yet. The last couple rumored to be taking on the role of godparents is Misha Nonoo and Alexander Gilkes. The pair, who used to be married, are supposedly the ones responsible for bringing Harry and Meghan together in the first place. If it wasn’t for them, there might not even be another royal baby on the way. While that might not be justification enough for making them godparents, it’s still a good reason for them to be in the running. Who will the couple go for though? While the baby’s godparents are still a mystery, there’s every chance Harry and Meghan could do a complete U-turn and give the job to William and Kate. It might be breaking from a tradition of sorts, but that’s something that Meghan has done plenty of times already. 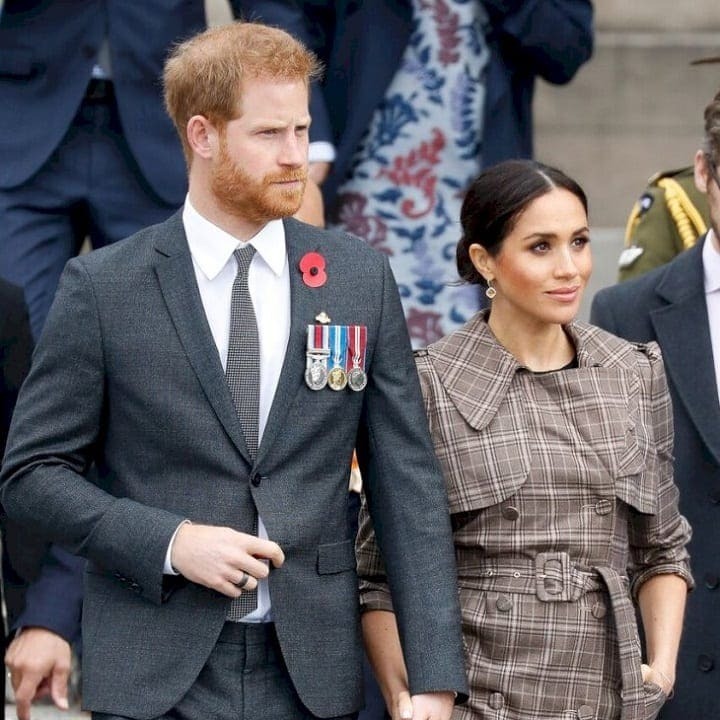 The Duchess of Sussex has frequently gone against the grain in the past, even after she married into the Royal Family. With talk that she now won’t give birth in the Lindo Wing like her royal relatives, it’s become difficult to predict anything she does. Although we’re desperate to know the names of the godparents, it seems we won’t have too much longer to wait. 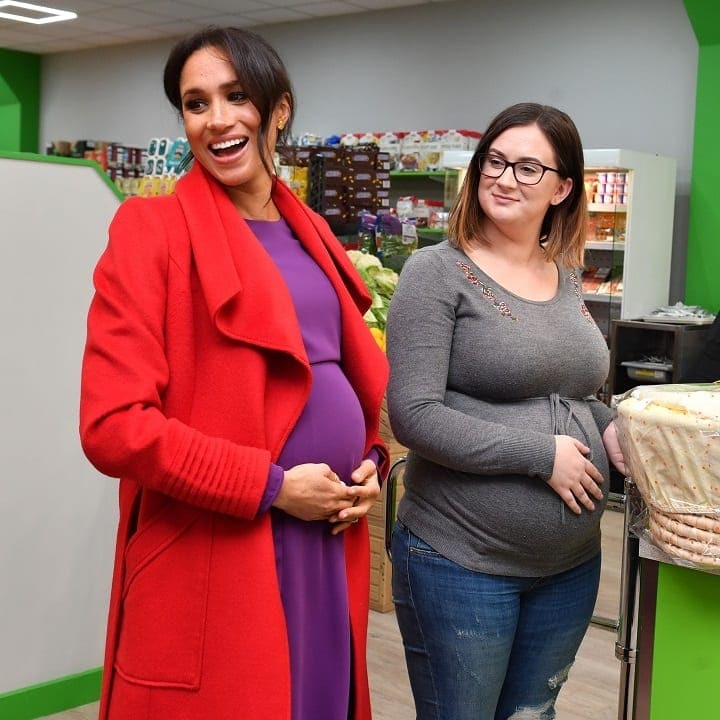 Following a trip to Birkenhead in January 2019, the Duchess of Sussex let it slip that she was expecting her baby at the end of April or beginning of May. That’s not too far away, although it would be an unfortunate time to give birth. That due date sits her very close to both Prince Louis and Prince Charlotte’s birthdays, so there’s every chance of a clash. If Meghan and Kate really are at war with each other, we’re sure that neither would want their kids to share a birthday. However, we’ll just have to wait and see what happens once the baby arrives. Until then, we’ll continue to search for every possible detail about who will become a godparent to the lucky infant. There’s every chance the couple could pick someone who’s not yet in the running. After all, if there’s anyone in the Royal Family that likes to keep people on their toes, it’s Meghan! 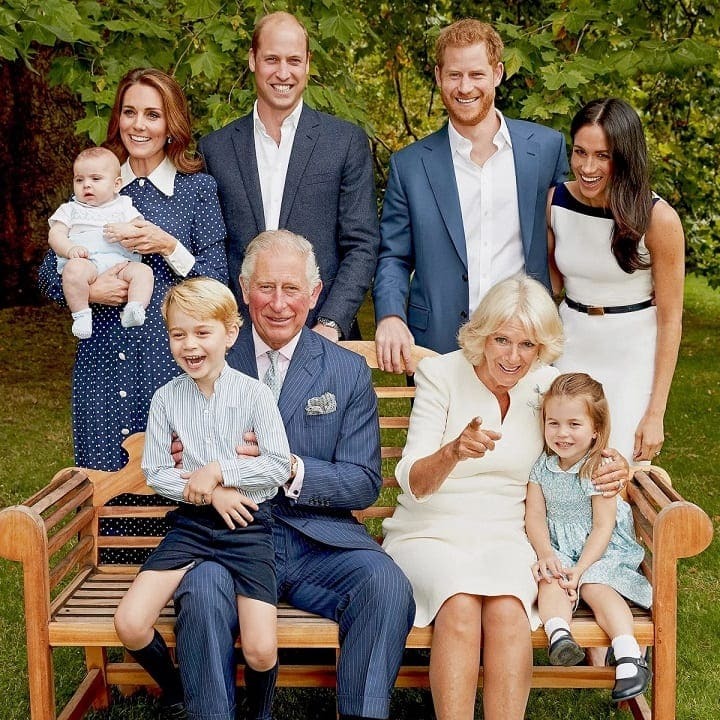 While some may assume that someone from the Royal Family’s bloodline must be the godparent for Royal babies, this actually isn’t always the case. In fact, there have been many instances where Royals chose non-Royals to serve as godparents for their children. There does seem to be a tradition that siblings are not usually chosen, which could very well be the real reason Harry and Meghan may not choose Kate and William to be their new baby’s godparents. That being said, there are actually plenty of other potential options in addition to the above mentioned. 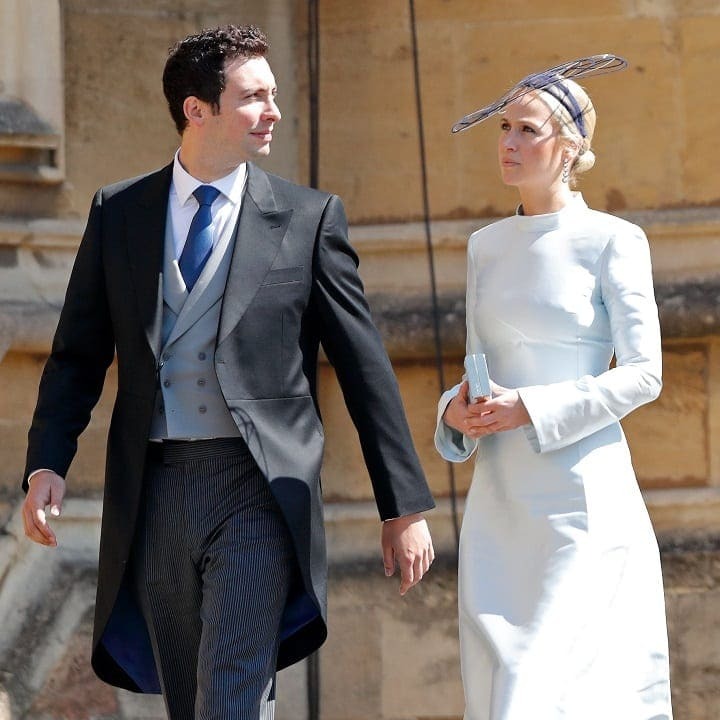 When you’ve been a Hollywood actress for many years and a Royal prince for your entire life, you tend to build some high-society connections. Meghan and Harry have many other people that they could possibly choose to look after their newborn when they are unable to. The only thing is that some of Meghan’s closest people are not living anywhere near her current residence. One great option for a godparent to the future Royal addition is probably both the most obvious, along with the least expected. 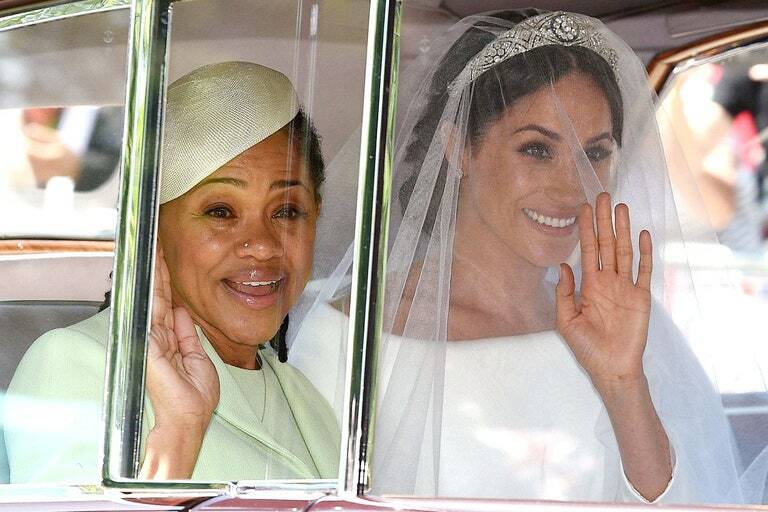 We’re talking about Meghan’s mother, Doria Raglund. It’s been reported that before Meghan even announced her pregnancy, her mom said she would come to be with her when it comes time to have a baby. It would be really lovely to keep the godparents in the family and Meghan is already close with her mom, so maybe this would be a good idea. There are few people that we become as close with as our childhood friends. Growing up with another person by our side means that friendships form and bond us in a way that is just a bit different than adult friendships. Perhaps that’s why Meghan’s childhood friend Benita Litt could be a real possibility as a godmother to her friend’s baby. Meghan is actually godmother to Litt’s two daughters and they were even bridesmaids in the Duchess’ wedding. The media likes to talk about a feud brewing between all of the Royals, and this includes Meghan’s new cousin Princess Eugenie. Reports showed that Eugenie was livid when Meghan stole the thunder and announced her pregnancy around the same time as her wedding. Regardless, there is more proof of a friendship between the two than hatred, and she is actually a strong candidate as a godparent. The two couples even lived near each other at Kensington Palace, but then again, so did Kate and William, so you never know. It turns out that Meghan has a wife range of friends, one of whom you may have heard about over the years; she is an internationally-known tennis player who goes by the name of Serena Williams. 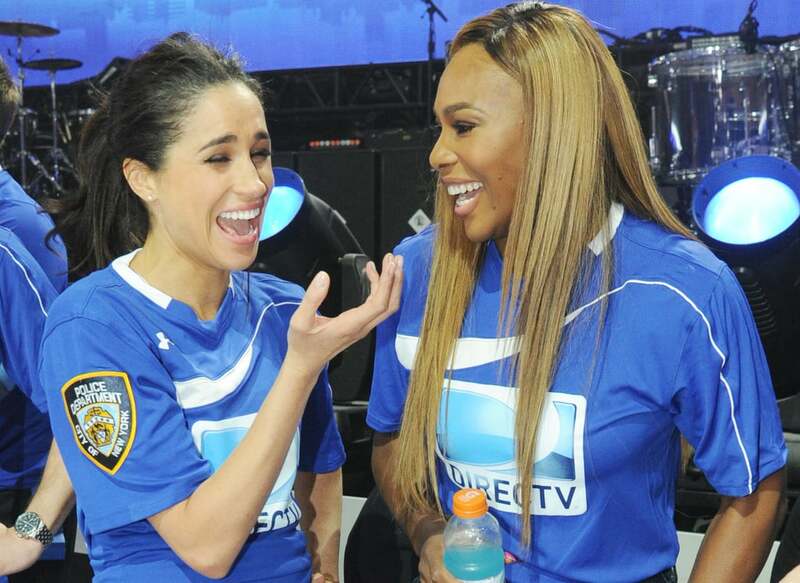 Meghan and Serena have actually been friends for years and they still keep in touch over text. They met back in 2010 and have remained friends since; Serena even attended Meghan and Harry’s Royal wedding in May 2018. Maybe her and her husband could serve as godparents. Everyone knows Meghan and Harry are the couple of the moment. There is, however, another couple that has got the world’s attention recently. Have you noticed how much Priyanka Chopra and Nick Jonas have been in the media lately? Well, it turns out Meghan and Priyanka are actually close friends, and she even went to the Duchess’ wedding, too. 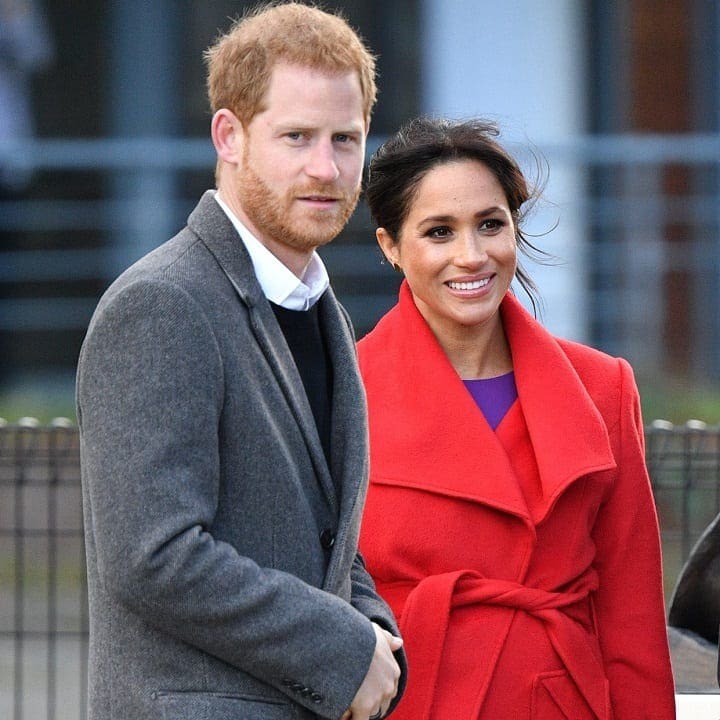 We can imagine that the actress and her new husband will be even more in the spotlight if they’re the new Royal baby’s godparents. With so many options for who the future baby could have as their godparents, it’s no wonder that Kate and William may not be the first pick. Because we know that the Royals do not need to choose someone from the bloodline for this position, it makes sense that Meghan and Harry would look elsewhere. We also know that they do not usually choose siblings because they already play a large role in the children’s lives. It does make us wonder if the two even considered them, though. Though it has been disputed, there have been reports that the feud between Meghan and Kate has actually escalated and expanded to the brothers as well. 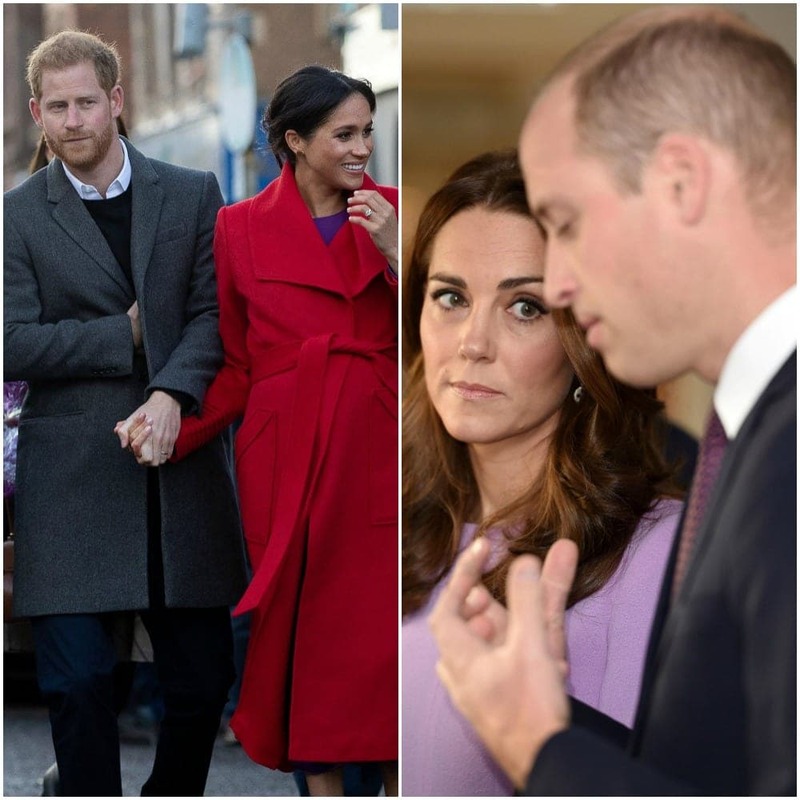 There was a viral video going around of William actually ignoring Meghan as he adjusted his scarf, and people jumped to the conclusion that he was taking sides with his wife and entering the feud. With the tensions, it is no wonder they weren’t asked to be godparents. Others believe, however, he was just adjusting his scarf and hadn’t noticed the Duchess. The main thing that is necessary to keep in mind is that most of the things we see in the media about the Royal Family very well may be false. There are rumors that George and Amal have already been chosen, that Kate and Meghan hate each other, and so many more. The truth of the matter is that we may never know what actually goes on behind closed doors within the Royal Family. Meghan and Harry may or may not choose Kate and William to be godparents, only time will tell.